The Revenant is a tremendous disappointment. Like so many modern films it substitutes a catalogue of frequent action for character development and condemns the plot to a distinctly mechanical unfolding of one damn thing after another as the protagonist Hugh Glass (DiCaprio) survives the hostility of the environment, Indians, some of the men he works with and most spectacularly an encounter with a grizzly bear. The year is 1823. A band of trappers led by Captain Andrew Henry (Domhnall Gleeson) are in what is now the Dakotas and what was then a still wild and largely unsettled (by whites) part of the Louisiana Purchase, populated by Indian tribes who varied from the friendly to the warlike. Glass is the most experienced trapper and knows the territory best. His half Indian son Hawk (Forrest Goodluck) is also a member of the hunting party. The trappers are attacked by a band of Arikara Indians who are armed with bows and arrows. But this being the age of the single shot muzzle loading muskets and pistols the trappers do not have an overwhelming superiority in weaponry. They suffer heavy losses and retreat from the fight by boat down a river. After making their escape Glass persuades Henry that the party must come off the river and make their way back to the trading post overland. This decision does not go down well with some of the remaining trappers including John Fitzgerald (Tom Hardy). Glass is then mauled by a grizzly bear which leaves him unable to walk or speak and seemingly on the verge of death. After carrying him on a makeshift stretcher it becomes apparent that they cannot take him with them. Glass‘s condition also worsens. Eventually Andrew Henry accepts that Glass will die but wants him to have a decent burial so asks for two men to remain behind and bury Glass properly. Fitzgerald and Jim Bridger (Will Poulter) agree to undertake the task for additional pay. Hawk also stays. Bridger leaves Fitzgerald alone with Glass. He persuades Glass to signal by blinking that he wants Fitzgerald to put him out of his misery. Glass blinks and Fitzgerald begins to suffocate him. Hawk catches Fitzgerald in the act and Fitzgerald kills him in a struggle. Bridger then returns before Fitzgerald can kill Glass. Fitzgerald lies that he has seen a band of Arikara Indians nearby and persuades Bridger to flee the scene leaving Glass to die. The pair then head for Fort Kiowa. On their way Bridger discovers that Fitzgerald had not seen any Arikara and gets a bad conscience. When they reach the fort Fitzgerald lies about Glass dying and being given a decent burial. Bridger doesn’t like it but keeps mum. As for Glass he does not die and gradually recovers both his mobility and voice. He then engages in a wildly improbable journey to Fort Kiowa most of which he conducts at first by crawling, then by staggering with the aid of a rough staff. Most of the action takes place in a wintery snow filled landscape. Yet not only does Glass survive the cold on land, he has several episodes when he is in what must have been water which was close to freezing. Yet DiCaprio is frequently seen in water which must have been ice-cold. In one scene he is swept away by the current of a fast flowing river encumbered with a heavy fur poncho-style garment that is his only real guard against the cold. In real life Glass would have rapidly died from hypothermia. There is also no consistency in the extent of Glass’ supposed disability following the grizzly mauling. There is one scene which is truly absurd when Glass having been moving slowly with the aid of a staff suddenly regains the full use of his legs and runs. These types of wildly improbable events would not matter in a fantasy such as XMen, but it does matter here. The Revenant (meaning one who returns and especially one who returns from the dead) is inspired by the allegedly true story of Hugh Glass. Apart from the fact that it is meant to have its roots in reality, the film takes great pains to look authentic, the screen being filled with filthy clothes, unshaven faces with dirty ill-kemped beards and hair, bad skin and inexhaustible amounts of mud, all this set against a bleak background of birch forest. The absurdity of much of the action is horribly at odds with the tenor of the film which is deadly serious. Then there is the question of historical veracity. Much of the important plot elements have no solid basis in fact. There is no evidence that Glass had an Indian wife or a half Indian son. Hence there was no son for Fitzgerald to kill. Glass was not helped by an Indian after being deserted by Fitzgerald and Bridger. Glass did not kill Fitzgerald let alone seek him out because Fitzgerald had either vanished or enlisted in the US army, which meant he could not be safely killed because it would be treated as murder. Take away those parts of the story and the story has lost much of its energy. Some of the invention is also plainly designed to fit into the politically correct envelope. The invention of an Indian wife and half-Indian son, the depiction of Glass’ survival as being in part due to the help of an Indian, the running thread of an Arikara chief attacking the trappers not for the simple booty of the furs but to trade them for horses and guns to make possible the recovery of his kidnapped daughter all have no basis even in the tale that the real Hugh Glass told. It is also true that little is known for certain of Glass, who was the only witness to what happened after he was left for dead and who may well have greatly embellished the story. But even as the story is told in the film there is a curious deadness and inconsequentiality to the tale. The dreadful truth is that the film is at times boring. The episode with the bear and the attack on the trappers by the Indians are undeniably thrilling, but there is a lack of characters who can engage the audience’s sympathy or even interest. DiCaprio does his best with the material that he is given but that is pretty frugal fare, not least because he is either alone or unable to speak for much of the film. He is neither villain nor hero but a drab, dour unsympathetic personality in a perilous situation. That does not make for sympathy and the lack of sympathy means one cannot really care about how if at all Glass will save himself. Of the rest of the players only Tom Hardy makes any real impact. He is ostensibly the villain but might be seen more as a victim of circumstance for, after Glass fails to die of his wounds Fitzgerald and Bridger are left in an impossible position. They cannot carry Glass nor is Glass in any fit state to walk. Their lives are at risk. Fitzgerald behaves badly in one way by pretending that he and Bridger have carried out their task and buried Glass after he has died a natural death, but to leave Glass was not unreasonable. Domhnall Gleeson as Andrew Henry is sadly miscast because he is positively wooden and horribly far from being a leader. This is a film which is too self-consciously important, the sort of film grasping fondly to the belief that it has Oscars galore written all over it. It may well be such a film for it has already made its mark at the BAFTAS, but if it is it will be a triumph of promotion over substance. This entry was posted in Film Reviews, QR Home and tagged Hugh Glass, Leonard DiCaprio, The Revenant. Bookmark the permalink. This is an excellent review touching on many of the films faults. As a student of the old west and particularly White-Indian interaction. I was affronted by the Revenants ahistorical and politically correct plot elements. For instance, French Canadian fur traders did not willfully murder Indians. Quite the contrary, they were renowned for close personal and commercial relations with the indians which whom they traded. To depict them as deceitful, murderous exploiters of Indians is a calumny. As the reviewer mentions, There is no record of Glass having an indian family or engaging in much of what the film depicts. I suspect that the Revenants departure into the “White Man bad- Red man Good,” territory stems the felt need to expand on a rather slim story line. 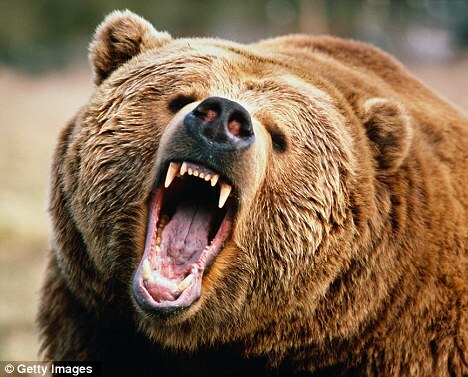 Hugh Glass did suffer a terrible bear attack. He did manage to get a long way to Ft. Kiowa. on his own and seems to have been helped the last part of the way by indians. Almost every thing else we know about him rests on the frequently sensationalized reminiscences of fellow mountain men, some compiled as late as the 1890’s. Anyone with the slightest knowledge of these matters has experienced the tendency of 19th Century western adventurers to spin tall tails. On the other hand some of these stories are true, as in this story of Glass and the bear. Taking this ambiguity as an excuse to engage in politically correct agit-prop is despicable. It is especially so considering that many viewers mistake the corny and unimaginative anti-Caucasian drivel as historical fact. Oops! I hit the post comment button before editing the above. Please feel free to translate into English at your leisure. And yes, I meant Tales!